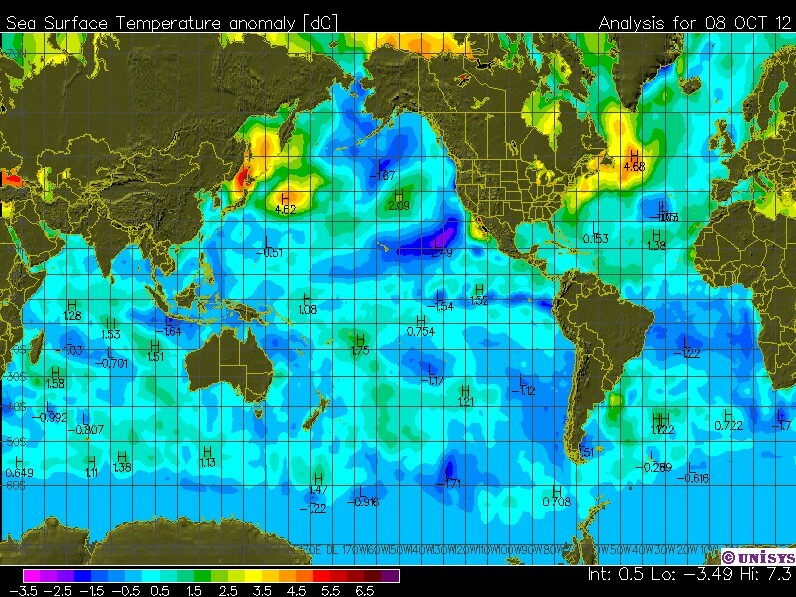 Looks like the coldest El Nino on record. Just a week or two ago, the usual crop of suspects were predicting record warmth in 2013 – because of El Nino. Gaia earth baby el niño was aborted. It was done by the Blue Team. Yes, the usual suspect being David Jones is getting a great run from me. Non stop material as he is saying that UNISYS has cold bias and its not that bad…LOL!! Meanwhile, in the Real World, pressure is plumetting in Darwin, and SOI is rising. Only one outcome as i have said all along. ‘…record warmth in 2013 – because of El Nino.’ As if oceanic circulation has anything to do with man made CO2. Bunch of fraudsters the lot of them. At a depth of 100 m, you can see it even better. The missing heat is in front of Spain on a depth of 1000m. Yup. Only an idiot would believe that we could and only a con man would say that we could. it would also cool exponentially back to equilibrium. The Earth will stabilize its temperature all by itself, radiating excess heat to space. Alarmists need to relax. There is no calamity. problem , no calamity no money no power no control.